The wireless X7675 is built for your office with high-performance features. Built-in wireless and Ethernet connectivity, full-featured fax, 2-sided printing and business class print speeds up to 32 pmm* are all included for increased productivity. *Black printing in draft mode and excludes time to first page print. Visit www.lexmark.com for details. 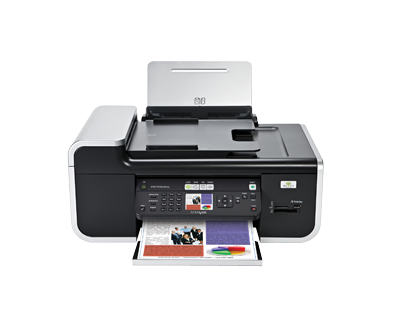 (2) Printer designed to utilize your network's security (WEP, WPA and WPA2) and broadcast range. (6) Compared to one standard black and one standard colour cartridge for this printer. (5) On glossy media in photo mode.